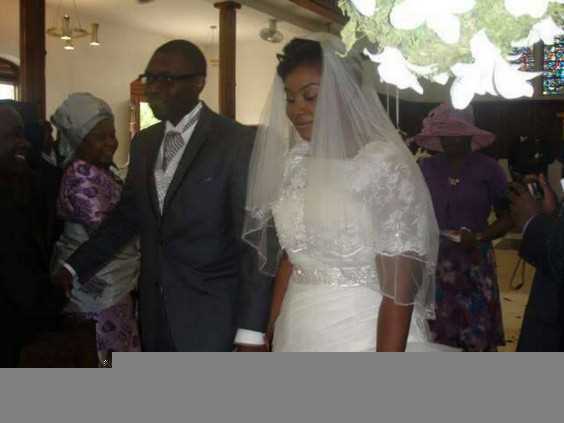 John Kumuyi, a son of the General Superintendent of the Deeper Christian Life ministry Pastor William Kumuyi, and his newly wedded wife Love have been banned from the church after their wedding was adjudged unlawful by the church’s standards. The only difference is that we are not yet using daggers in church service, when we hackdown anyone who flaunts our church laws and excommunicate them for not abiding by our dictates, are we serving the divine and express will of the almighty? They have not sinned at least to the best of my limited knowledge. I do not claim to be an authority on scripture interpretation but I pose a challenge to all christians who read this post as to the fulfillment of scriptures “all will know their God for themselves” “no more will it be said that the fathers have eaten sour grapes and the son’s teeths are set on edge” I propose to the christian community “live and let live” the father’s doctrinal choices should not turn the son’s wedding/marriage upside down. This also raises the question of when Excommunication in church is justifiable as this is a common trend in churches. However it should also be noted that some sort of discipline is in order as it cannot be overlooked that the son till his wedding remained a member of the church but I believe justice should be tendered with mercy and the church should swiftly end this discord to avoid giving the body of christ and particularly Deeper life ministry negative media. Nigeria’s Debt FOR SALE,On top say we still NO GET LIGHT?!!! Men’s judgement is still subject to God’s judgement, so let’s leave all things to God.